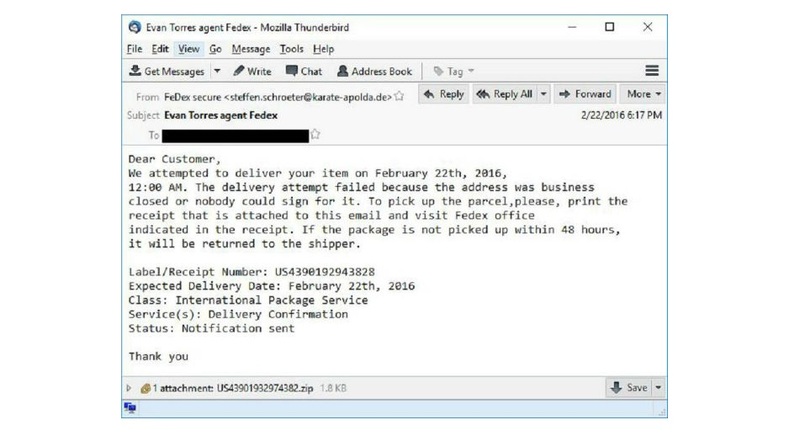 Comodo Threat Research Labs unveils a new phishing scheme that uses news of an urgent FedEx delivery as a front. Victims of the FedEx phishing scam received an email regarding a fake shipment, such as the one pictured here. The Clifton, N.J.-based Comodo Threat Research Labs identified a malware attack in both English and Italian targeting customers of FedEx. Fake emails told recipients that FedEx was attempting to deliver a package.